At Selma Family Care in Selma, Alabama, Dr. Sean Bohannon provides preventive care and treatment for the entire family, from infants to grandparents. He stays up-to-date on the latest family care medical information and offers comprehensive checkups as well as office visits for specific medical concerns. Dr. Bohannon and the staff at Selma Family Care, PC, look forward to meeting all of your family members. To get to know the practice, call today or book an appointment online. A primary care practice gives you a partner for your health needs. Dr. Bohannon loves being a primary care specialist and learning all he can about his patients and their health. He monitors his patients regularly to help them stay healthy, and if medical concerns arise, he assesses them, ordering tests and referrals to specialists if needed. When people don’t have a primary care provider, important health issues that might be easily treated can end up becoming very serious health concerns. For example, regular blood tests can help keep high cholesterol in check and even help prevent the condition from leading to a heart attack. Studies have found that having a primary care doctor can help you live a healthier and longer life and even help avoid disabling conditions and time off from work for illness and injury. 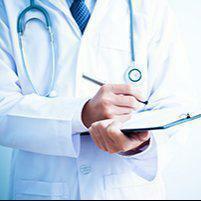 Other conditions that can be avoided or treated early by having a primary care physician include cancer and strokes. Seeing Dr. Bohannon at the offices of Selma Family Care is the best way to get to know the doctor and learn how he plans to care for you. In addition to meeting you and learning your family health history, Dr. Bohannon wants to know what’s on your mind, what health concerns you have, your family medical history, and how he can help you improve and maintain your health. Have you read a new study about a condition you’re worried about? Bring a copy of what you read with you so Dr. Bohannon can discuss it with you. Are you ready to start a relationship with a family care specialist you can trust? Call today or book an appointment online to see Dr. Bohannon at the offices of Selma Family Care.